Everyone adores Christmas… but it’s easy to feel exhausted, underappreciated and in need of some ‘me time’ amongst all of the present-buying, decorating and food shopping! 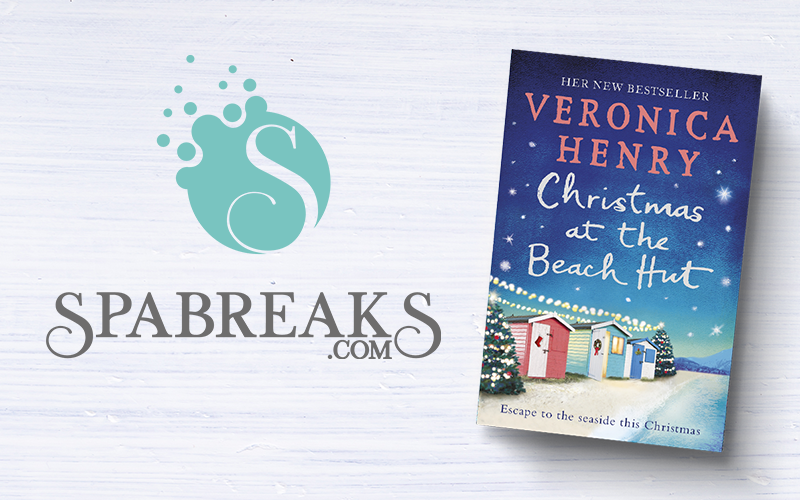 That’s certainly the case for Lizzy in Christmas at the Beach Hut – the brand new novel from Sunday Times bestselling author Veronica Henry, bursting with love, hope, forgiveness - and plenty of Christmas cheer! To celebrate the release of Christmas at the Beach Hut, we've teamed up with The Orion Publishing Group and Spabreaks.com to give one lucky person the chance to win a £300 Spabreaks.com voucher and a copy of the book. 4 lucky runners up will also win a bundle of Veronica Henry novels. There are three things that separate Spabreaks.com from all other online spa booking experiences: product, people and pioneering ideas. Spabreaks offers great value spa days and breaks and specialised retreats for solo travellers, hen parties, groups and couples, in a variety of options ranging from health breaks to spa and afternoon tea packages.